The beautiful thing about Paris Berelc is her ability to perfect her skills with ease. As a model, she is popular for her works with Ford Model and as a gymnast, she showed her skills to the world during the United States Gymnastics Junior Olympic Program. Of course, Paris is also a remarkable actress. Her major breakthrough was when she first starred as Skylar Storm in Mighty Med. She equally starred as Skylar in Lab Rats: Elliot Force but is probably most recognized for her outstanding performance in the teen movie, Invisible Sisters. Is Paris Berelc perfect in all she does? Let’s learn more about the youngster who has gotten the attention of a lot of people. This American actress and model was born to Maria and Joe Berelc on the 29th day of December and in the year 1998. She is the oldest of four siblings, all girls. The Berelc’s are lovers of gymnastics; at the age of five, little Paris was already a fine gymnast. She would later attain the highest level in the United States Gymnastics Junior Olympic Program. Her excellence as a gymnast was rewarded with a lot of gymnastic championship awards. Owing to Paris’ outstanding looks, it wouldn’t be out of place for one to assert that the Berelc family has a blessed gene. She is of European and Filipino descent. Yeah, Paris is biracial. Her career took a turn away from gymnastics when an international modeling agency, Ford Models came calling to have her become one of their models. Paris was only 9 but age wouldn’t hold her back. She kicked off her modeling career and appeared in a lot of advertisement for brands like Kohl’s, Boston Store, Seras, and K-Mart. Her parents encouraged her as they noticed that their child really loved what she was doing even at such a tender age. In a bid to nurture her career, Paris Berelc became a student of Acting Studio Chicago. Having gained Knowledge theoretically and practically at the reputable acting training center, Paris embraced the passion for acting that she developed while modeling. Her professional debut was in the Disney XD sitcom, Mighty Med (2013). As a result of the movie’s location, her whole family had to move to Los Angeles in order to give her their full support. Nothing was heard from the youngster in the following year, but she took to the screens again in 2015 and awed her audience in the movie Invisible Sisters. She starred as Molly who was always at loggerheads with her younger sister Cleo (played by Rowan Blanchard). People were excessively mesmerized with the storyline scripted to have Cleo make her sister invisible. That same year, she featured as Skylar Storm in the series Lab Rats: Elite Force. It was in April 2017 that Netflix announced Paris Berlec as the actor to portray the lead role for the comedy series, Alexa & Katie. Nonetheless, the first season of the series didn’t air until 23rd March 2018. 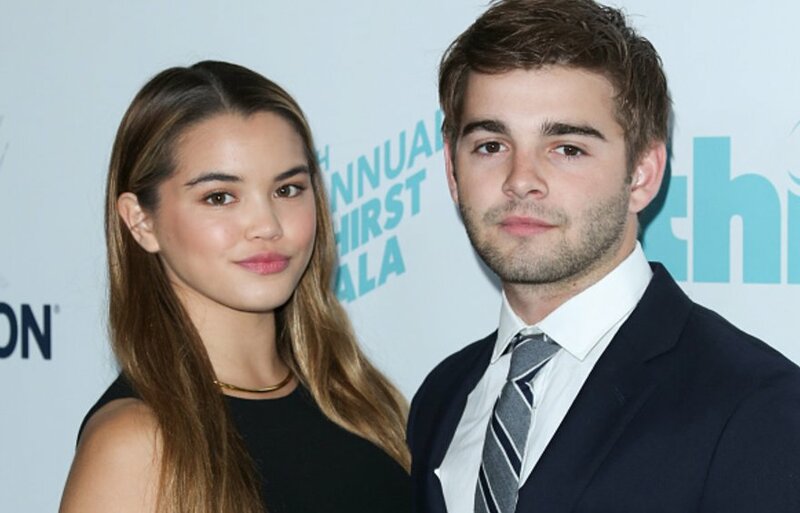 As mentioned earlier, the youngster’s parents are Maria and Joe Berelc. She hails from a family of six where she has three younger siblings (sisters). All of her siblings except the youngest who is still trying to figure out her career path, have done perfectly well for themselves in their various endeavors. Paris’ immediate younger sister, Bless currently works in the movie industry, although she is still striving to find her feet in the industry. Her other sister, Joelie has mastered the techniques of a gymnast and has also done well for herself. Skype, the youngest, is still trying to figure out her career path but like her sisters, we sure know that she would also make her parents proud. This hourglass-shaped damsel has been in a few relationships. She once dated Peyton Meyer, Steven Perry, and Aramis Knight. Weighing 55 kg, the 5 feet 5 inches tall beauty is said to be in a relationship with Jack Griffo – a singer and an actor. They started dating sometime in 2017 and has also publicized their relationship. The two, as of the time of this writing, were working together on screen for the comedy series, Alexia and Katie.